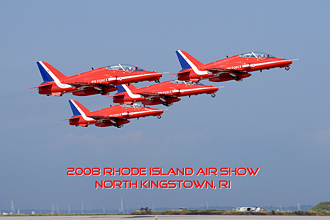 The Rhode Island Air Show is the show that always starts off my year so I'm always waiting eagerly for the month of June to approach. This year added more excitement as they brought in the Royal Air Force's Red Arrows. Rhode Island would close out their 3rd stop in North America after hitting Quebec and Langley AFB just the weekend prior. Another highlight was being able to catch Adrian "Catfish" Jope on his final performance in the East Coast F-18 Hornet Demo. Adrian will be attending the Navy War College in Newport RI in August. The Black Daggers were the Jump team to open the morning jump and had John Klatt and his ANG acrobatic plane fly in tight formation until they had gained the correct height for the narrator to make his jump at 8,000ft. They we climbed another 2,000 for the final 5 members to jump out all at once. Then Jon Klatt would spiral around them while the National Anthem would play. The C-130J Demo team from the home unit (143rd AW) really pumped it up for this years show. They didn't want to be out done with all the fighters preforming their Knife Edge Pass and brought the maneuver into their routine. Many people were floored to see this large aircraft coming in on it's wings like this just after it's take off. The Harrier Demo was back after a long hiatus to Rhode Island. Ear Plugs are a must when watching the AV-8B Harrier of the VMA-231 Spades hover just over the runway as it hovers in place and then rotates 360 degrees before vectoring it's thrust to take back to regular flight. The Strike Eagle Demo took center stage as the F-15E of the 4th FW, based at Seymour Johnson AFB. "Ritz" and "Wild" really pulled some incredible dedication passes. Adrian "Catfish" Jope, of the East Coast Hornet team was up next. As mentioned, this was his last show as a demo pilot and I had the privilage to be able to capture the start up procedures on the hot ramp on Friday. His team was represented by back up pilot and fellow New Englander from Nashua NH. Capt. Greg "Gator" Poston is an Air Force exchange pilot with a background in the F-16 Viper. The two maintainers were SSGT. Chris Burgess, (USMC) for Ocala FL. While the other is AME2 Nicholas Hallman from Lancaster, SC. The Combined Arms demo returned for another year this time bringing PYRO! Unfortunately there were no A-10s to simulate air cover and that roll was taken by a UH-60 "Gunship". There was a C-130J, a UH-1 Huey and 2 UH-60's to drop off soldiers to simulate taking over an airport. The big highlight is always the "Wall of Fire". Once the fires were put out it was time for the Red Arrows to take center stage. The Red Arrows fly the BAE Systems Hawk T1 which is the RAF's advanced trainer, we use a version as our Navy trainer known as the T-45A Goshawk. 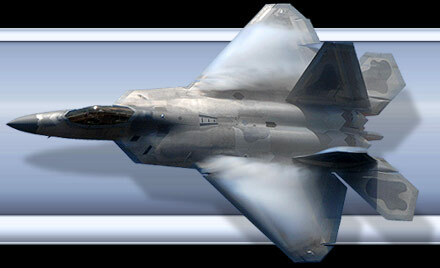 The Hawk is capable of Mach 1 and with use of colored dye mixed with the diesel exhaust can have Red and Blue along with their White smoke to really add color to their multi aircraft maneuvers. Some of my favorites where the Shuttle Roll, Lancaster Roll and the Vertical Break, while the Gypo Break (a 4 ship sequence), which comes right at you from show center, brought out a great roar from the crowd. I would like to thank the 143rd AW and the RI ANG PAO Lt Col. Riel for all their hospitality at this years show. Thanks again to Adrian Jope for allowing me on the ramp with his team, I wish him the best during his time in Newport RI.